No matter how careful you are, there’s a chance that your home is hiding a fire hazard – possibly even in plain sight. For the safety of yourself and everyone else that resides in your home, we hope that this list will prompt you to take a closer look at some of the potentially dangerous situations that can become more serious when left untreated or learn a few safer methods of dealing with common fire sources that can reduce the possibility that they will be the cause of a tragedy in the future. It probably goes without saying that both propane and charcoal started barbecue grills should never be used indoors; indoor use would pose a significant fire hazard as well as expose anyone in the enclosed space to toxic smoke and gases, and could rapidly cause lethal asphyxiation. You must also be sure you maintain proper safety anytime you grill outside. ● Always position your grill away from any siding, deck railing and out from under any overhead house eaves or tree branches. ● Your grill should be a safe distance from areas of high foot traffic or play areas. ● Make sure you keep the trays below the grill cleaned of grease buildup so it can’t be ignited unexpectedly. 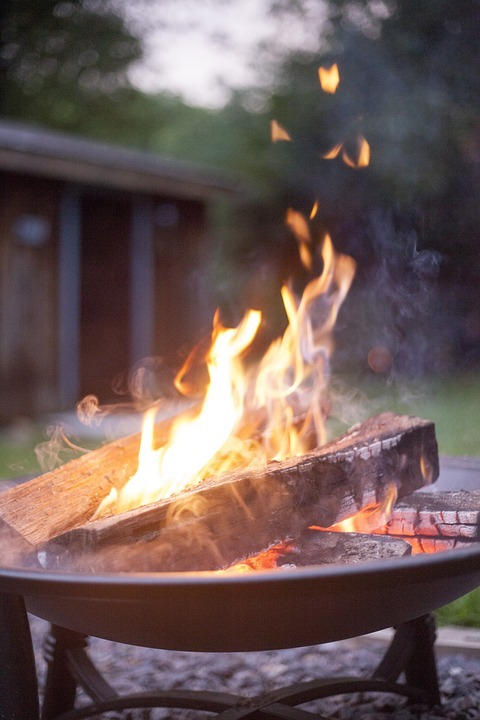 A simple fire pit, fire bowl, or chiminea, has become an increasingly popular backyard feature in the last few years, but there are always things to keep in mind when you actually go to start a fire in one. It’s probably most important to remember to think small – fire pits are more about creating ambiance than warmth and the larger the fire you build, the greater the potential for danger. ● Keep your fire pit at least 10 feet away from any combustible surface or structure. ● Avoid lighting a fire in windy conditions that could blow embers. ● Check weather forecasts and any local burn bans or ordinances that could be in effect for the season or in your region. 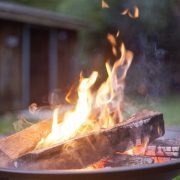 ● Never start a fire in your outdoor fire pit without a source of water nearby in case of an accident. Electrical fires can be caused in several ways, but most of them are the result of faulty electrical outlets or old, outdated appliances. Appliances with worn or frayed cords or faulty switches should be repaired or replaced immediately – those frayed or worn cords can send heat or sparks out onto floors, curtains, rugs or other commonly combustible surfaces and quickly start a fire that could quickly get out of control. If your home is over twenty years old, your wiring might need updating to handle the higher number of modern appliances in most homes now. This is a source that always surprises people. Believe it or not, fires that begin in your clothes dryer due to built-up lint and dust in the lint trap account for a shocking amount of home structure fires and cause millions in property damage every year. The type of dryer you have makes a big difference; according to the U.S. Consumer Product Safety Commission, if you have an electric clothes dryer, your chance of fire is 250% greater than if you have a gas dryer.